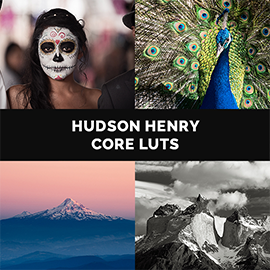 10 of Hudson’s favorite LUTs for B&W, sunsets, portraits, night scenes, and boosting color in your photos. LUTs for ON1 Photo RAW 2018.5, ON1 Photo RAW 2019, Lightroom, and More! • 10 LUTs for ON1 Photo RAW 2018.5, ON1 Photo RAW 2019, Lightroom, and More! Hudson’s passion for creating dramatic still and motion imagery is infectious. In addition to his adventure, travel and expedition field work, a growing list of commercial clients rely on Hudson’s unique ability to produce stunning, ultra-high-resolution work in the most demanding of locations and conditions. Panoramic merger composites, 360 degree images, and time-lapse video are all long-time technical specialties. Underwater photography and video work are Hudson’s most recent endeavors.